A collection of over 1750 high quality coaching resources for a variety of sports. Use it to cut down on planning and preparation. Give the app to students and have them run a peer teach or coaching session. Developed after a summer teaching swimming and water safety to a group of younger students. 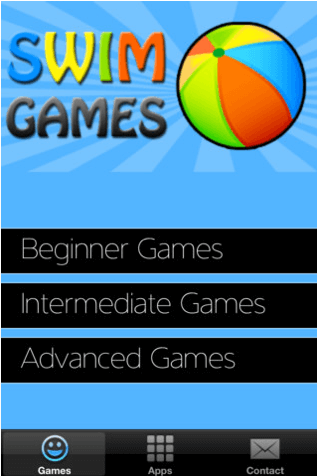 Features over 50 games for swimmers of all abilities with the emphasis on fun in the water. Developed to support the sudden influx of QR Codes appearing in the PE classroom. The app enables students or teachers to swiftly scan a code and link to online information, making it as the name suggests ‘A Super Fast Code Scanner’. 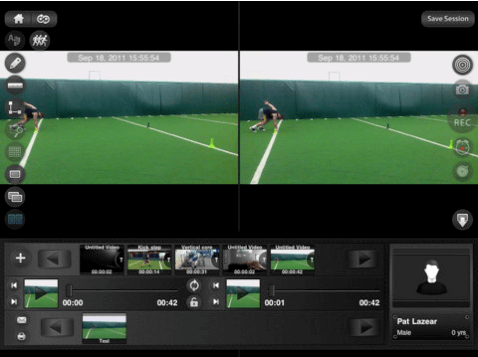 A high end video analysis package that enables users to conduct incredible motion analysis on performance. Users can complete side by side analysis, annotations, frame by frame and video layering. Use the apple camera adapter to import pictures taken with a digital camera direct tot the app.